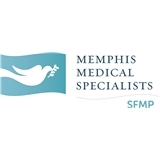 St Francis Medical Partners-Memphis Medical Spec. (Memphis) - Book Appointment Online! St Francis Medical Partners-Memphis Medical Spec. Dr. G was so friendly and really listened to my needs. Her tech was very professional. The location is near my office which was a plus. The touch screen kiosks had great health tips to read while you wait. Absolutely great visit! Dr. Kerlan is one of the nicest doctors I’ve ever met. We had a great conversation and he is a very intelligent man. He’s extremely knowledgeable about my condition and I’m confident that I’ll be able to resolve my issues soon. I’m looking forward to continuing my treatment with Dr. Kerlan! Very thorough, great bedside manner, Put me at ease.